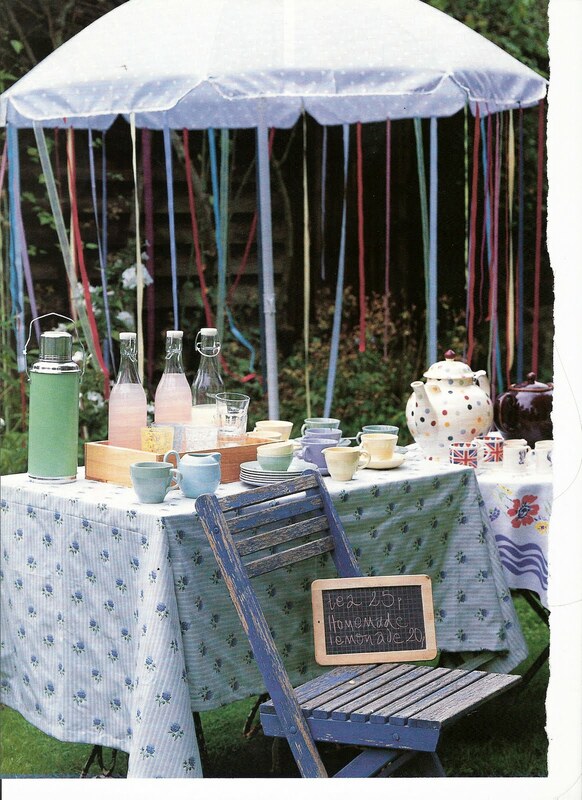 One of the annual summer rituals here in Blighty is the ubiquitous summer "Village Fete"
Inevitably orchestrated by a disparate/desperate group of dedicated locals who spend hours of their time planning, meeting, arguing, making, planting, sewing, baking etc. all with the intention of producing a Grand Day Out and fund raising for local projects and charities. I am one such "local" should that read "glutton for punnishment"? My Fete training began back in the mid Seventies. Here I am snapped by the Paps at our village Fete. 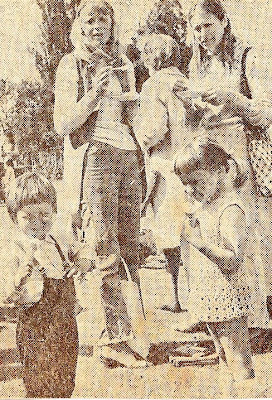 Note the crochet dress Magpie fashioned for me, yes that's the Magpie on the left in the snazzy waistcoat, oh and little faraway bro sporting dungarees. Note to Magpie " what's going on with our fringes?" The thing is, all joking aside we Brits really do put on a jolly good show! such a lovely event in a glorious rural setting and beautifully staged, here is the entrance to the marquee for the cafe. Lovely spot to enjoy a "naughty but nice"
Oh and these two characters off for a jaunt down the lanes! 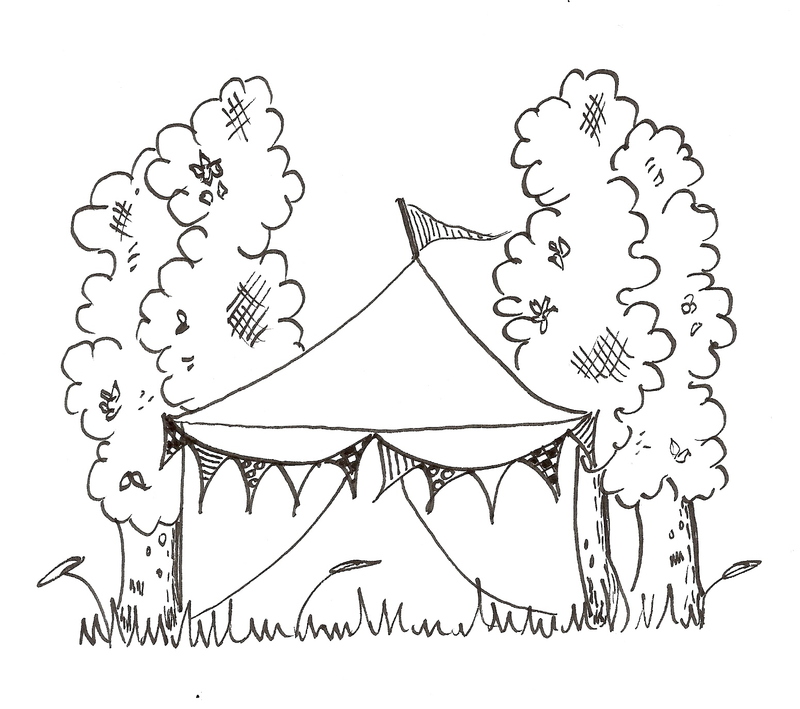 So as the day approached for my own Village Fete I scribbled this mini gazebo to add to our advertising/ bags et al. You may be able to spot Mr. Lane in this one! 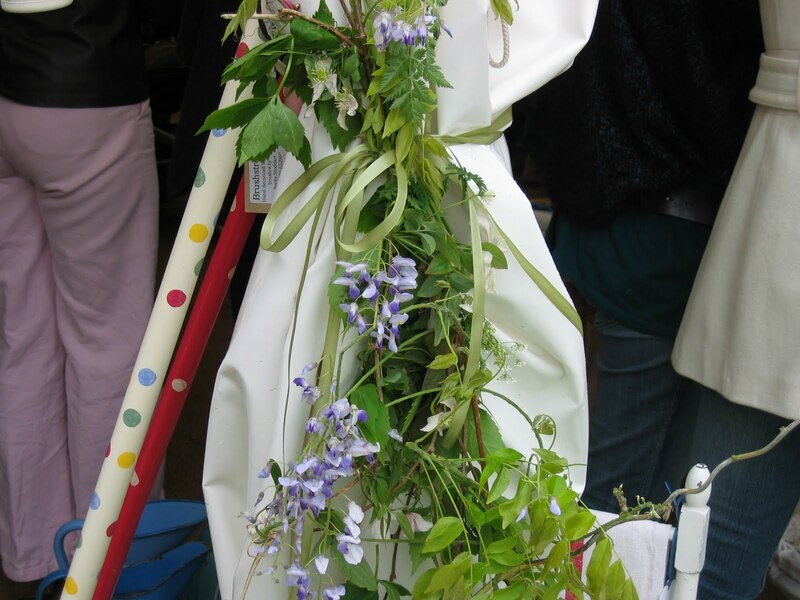 When I reflect on Summer it is always punctuated by these golden days of Fetes and Fairs and Jamborees and regattas. at the Regatta it's the same but by the water~ sack races alongside rowing and running! The thing is, wherever the event takes place it is always a day to remember. 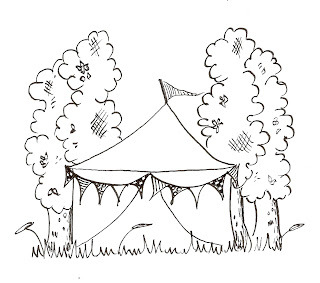 I am so thrilled to be part of our village fete team as I have met the most wonderfully dedicated team of people you could wish for, I have laughed my socks off, I have at times been very cross too! 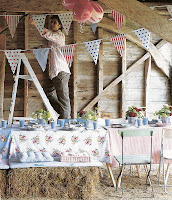 If you are ever asked to help put up the bunting for the village fete I thoroughly recommend you go! 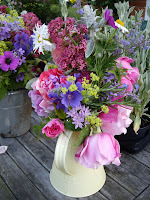 great post......i agree nothing like a good english fete to stir the heart! What fun this looks! 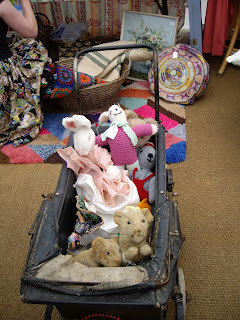 Such a lovely post, I love the village fete. Our village in Somerset sadly seems to have given it up but we're always keen to visit others in the area. We went to the Wealden Midsummer fair yesterday which was fab, the best fair I've been to. Hope you made lots of dosh for the village causes. I agree.Summer to me is the village/school fete,fun days,dog shows,picnics..and it always seemed to be wonderful weather,but maybe that's because you only remember the sunny days! We've got our annual hog roast/barn dance coming up in July,hope the evening will be a bit warmer than it was last night! 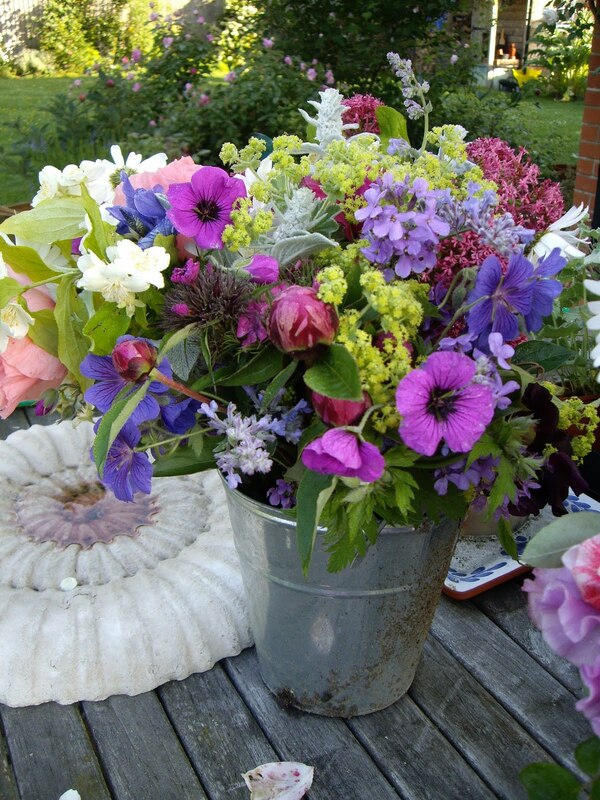 Your flower stall looks amazing. Well done on all your hard work, I hope the day was a huge success. A summer fete on a sunny summer's day, bliss. Hope you sold all those beautiful posies Sarah, they looked gorgeous. I've been involved in organising school fetes and boy are they hard work. Then on the day you're dooing not joining in - so I'm selfish and prefer visiting them much much more. Oh I Love a good Village Fete. I went to our local Church Garden Party yesterday as it happens. 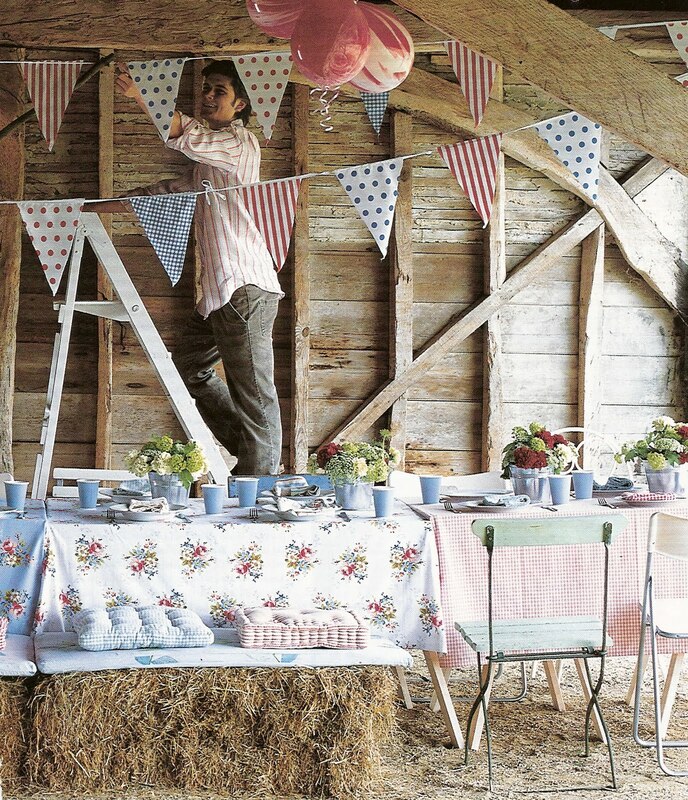 Your Posies of flowers are just perfect and go well with the bunting. We do do a good Fete here in old Blighty! Oh looks like a really fun day and everything is so pretty. Here in Ireland we tend to have alot of agricultural shows which aren't near as pretty and can be quiet mucky but good all the same to see all the animals and the marquee with the home making and craft tent. 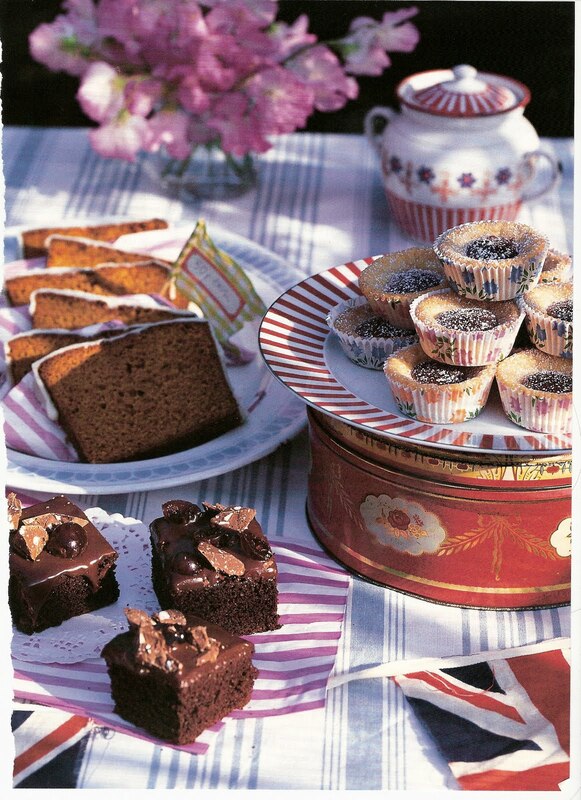 Every year I go all out on the baking for our Village Fete and along with the rest of my husbands family (female side) we run the tea/coffee and cake stall. His Mum has been part of this for many, many years and I totally agree with you over getting involved. Our village is tiny but we have such a dedicated team who work their socks off to raise as many pennies as they can. Love all your pictures and wish I could have stopped by your lovely looking stall! 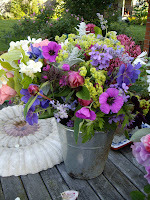 great post thanks for sharing - glad the weather was kind! My dad still has it somewhere. I am wondering how to transport it to France! 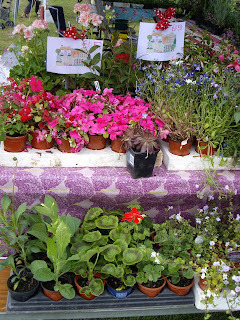 I took part in a lovely French school fete last week - I posted about it on Monday. 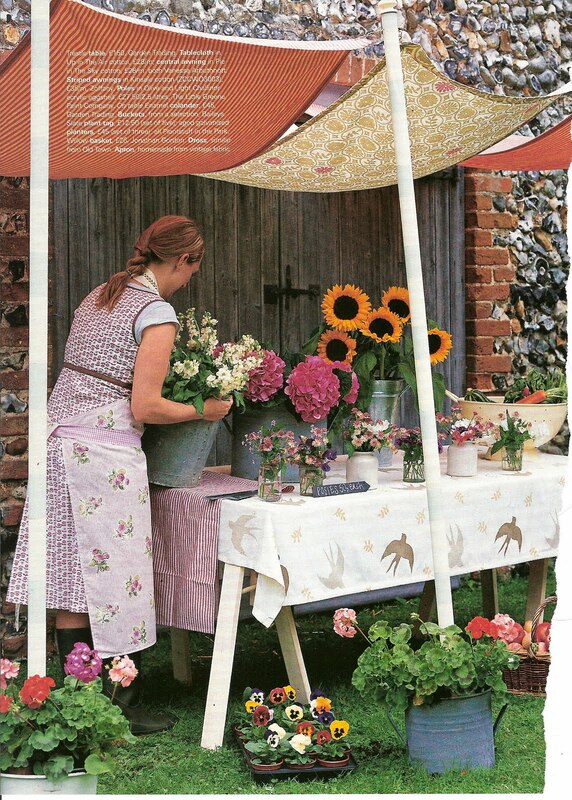 But their garden stall looked pretty small compared to yours, which is just fantastic. Ahh...my Liberty Lovely...you are an English Rose through and through. We have nothing like this here in the States. I have only read about them in the English novels I devour. Even better in person ( or pictures) than in words. Loved your flower stall. Wish i could have been there to help. We have our town show next weekend, I can't wait its a lovely day. Ahhh, I feel as though I was a part of all of this. THANK YOU for the holiday in the sunshine. What a wonderful way to spend the day, it looks heavenly. I really wish we had things like this around here, but unfortunately we don't. Thanks for sharing yours. Love the pic of your mom, brother and you -- so cute and so 70's! 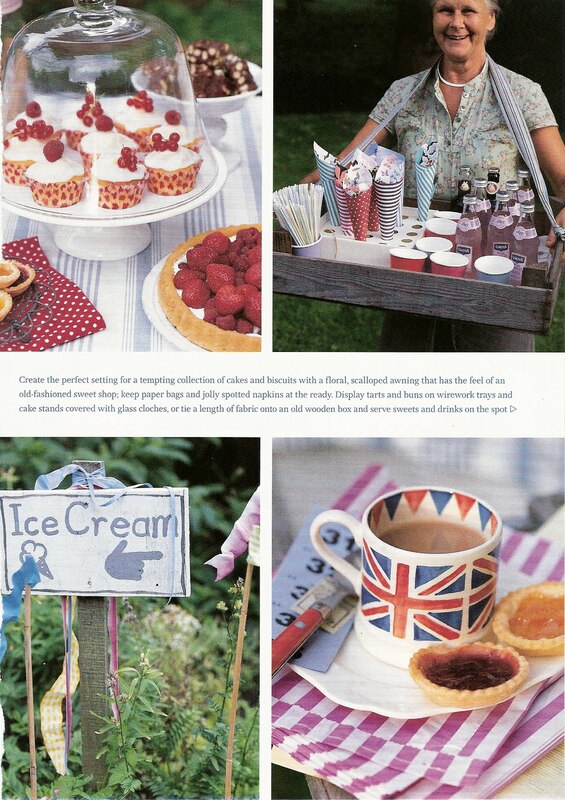 And gorgeous, beautiful, lovely photos of the outdoor events. You're so right, you Brits are so good at putting on these lovely fetes. Afraid it's so darned hot here in the summer, all we want to do is stay inside where we don't puddle. Or if we do go out, it's only to run and jump into the nearest body of water. Sarah 'hello' I've had awful trouble trying to pop in recently, but here you are and my trobles seem to have gone. I love village fairs though sadly we have to travel inland to find a good one. Love them! Your fete looked fantastic. 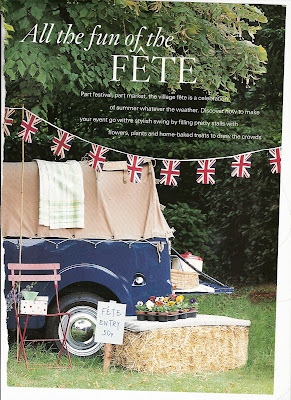 When we lived in Australia there only seemed to be one fete a year in our area. Now we are back in the UK we make the most of them in the summer and go to them as often as we can. It's a grand day out and really brings people together. Brilliant! This sounds like much more fun than the church strawberry supper. Oh, I love your posies. This all must be so much work but, the very best things come with some sort of price, eh? Thanks for sharing your little bit of magic. Not sure how I missed this beautiful post. It is one of the things I love about England! They are such wonderful events. You one you went to in Cornwall last year looks fantastic. 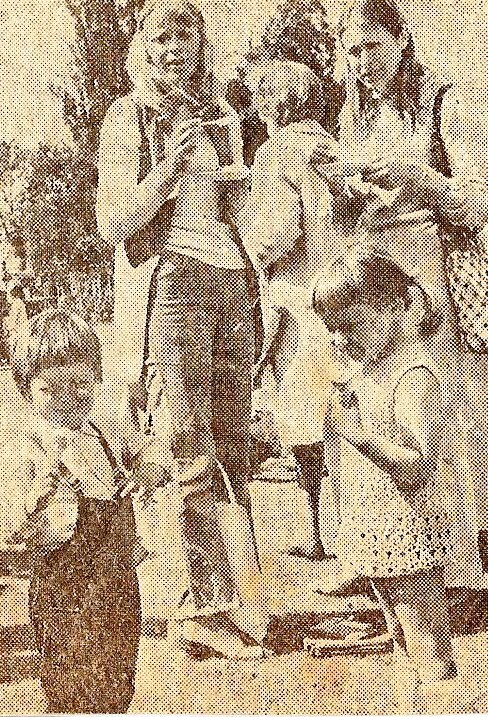 I had to laugh at your comment about the fringes as funnily enough my sister and I commented on our awful fringes when looking at photos of us in the 70s!